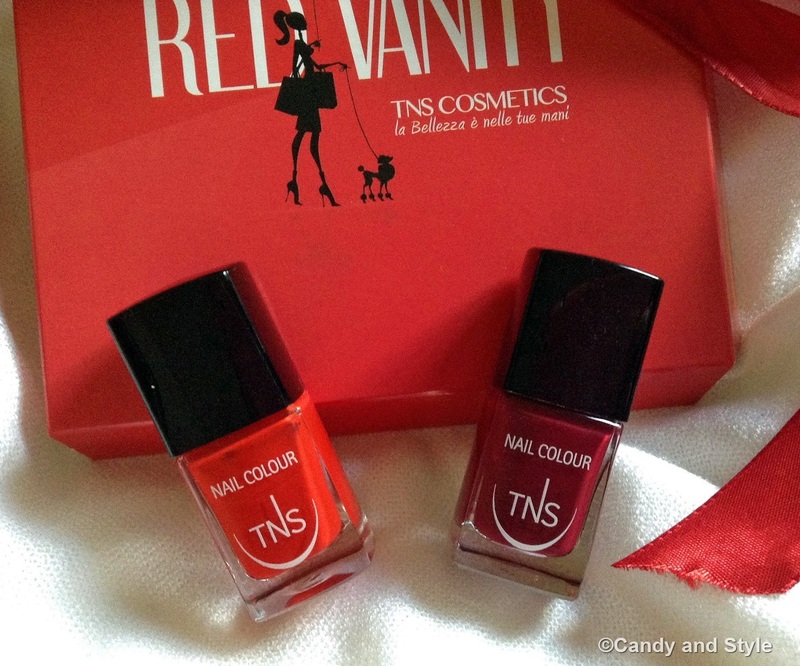 Today, I'd like to show you 2 beautiful nail polishes I got from TNS Cosmetics (an Italian brand of the company Tecniwork SPA), from the Red Vanity line, a capsule collection entirely dedicated to red. As you already know, I'm completely obsessed by this color, on lips and nails, so when they contacted me to ask if I wanted to receive the gift box, containing 2 nail lacquers from this limited line, picked by me, I happily said yes. 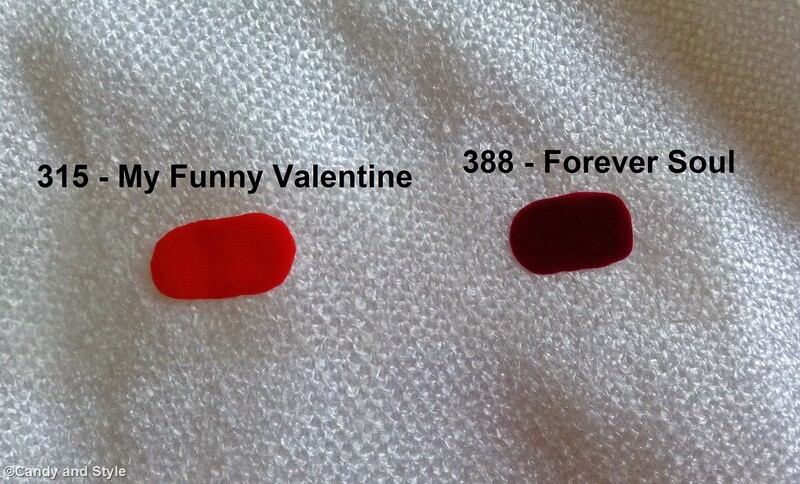 My choices have been the vibrant My Funny Valentine (an eye-catching bright red) and the strong Forever Soul (an intense vivid red with plum hues). 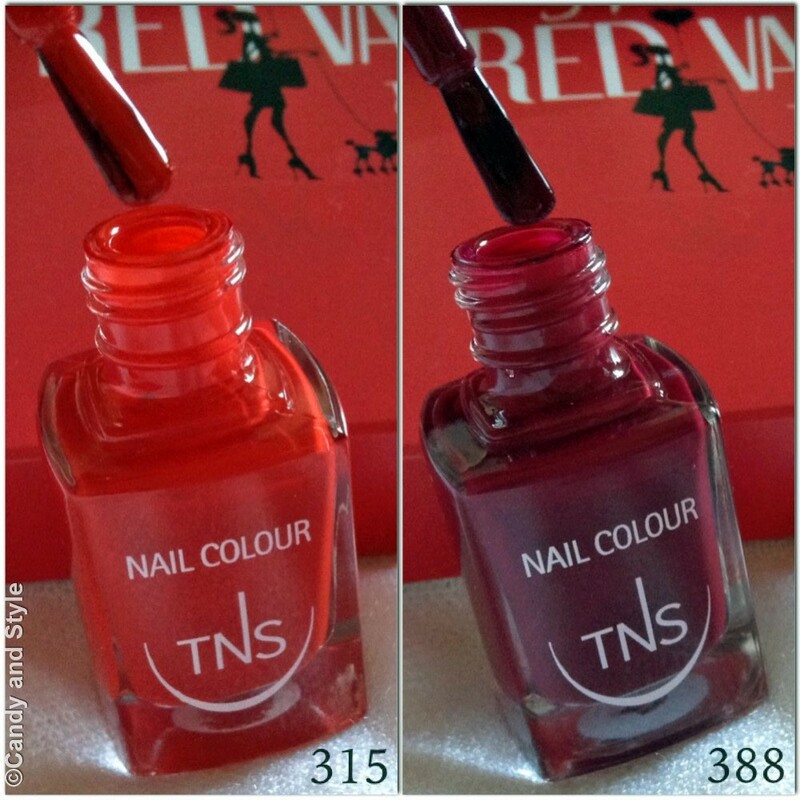 The ingredients are very good, the particularity of these nail polishes (as all the ones made by TNS Cosmetics) is, in fact, that their formula is 3-Free: Formaldehyde, Toluene and Phthalate free, with a fortifying action. I already tested both of them on my nails in the previous 2 weeks and I really liked them a lot: fast dry, long lasting (till 5 days without top coat), very shining and easy to remove. Another thing I love is the brush: the flat shape is my favorite as it is more precise and quicker. 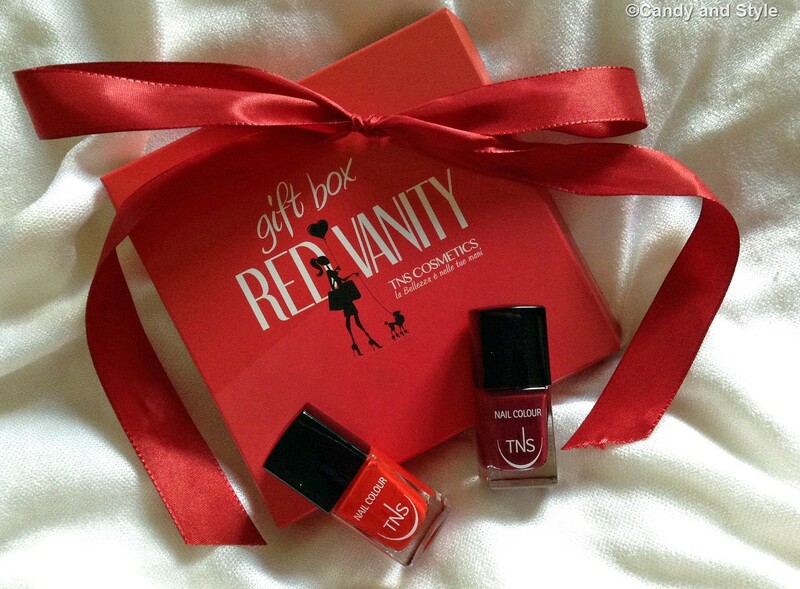 Look at the Red Vanity Collection, which color do you like best? Which ones would you pick? Which red are you? ITALIAN READERS: trovate la collezione Red Vanity in vendita presso i centri estetici della vostra città. Per qualsiasi altra informazione consultate la pagina facebook TNS COSMETICS. Ciao Lilli. Io non conoscevo questo brand. Mi piacciono molto entrambi i colori di questi smalti! il 315 è quello che mi piace di più! Such beautiful colors, Lilli! I am sure they both look great on you. che belli questi smalti, il mio preferito è quello più scuro! Quanto mi piacciono queste tonalità di rossa e anche io come te sono amante del pennello piatto! ho provato questi smalti al Fashion Camp e li adoro! Bellissimo My Funny Valentine, perffetto x le prox festività!!!! Omg..such beautiful nail paints. I really love your choice..because the shades you pick are very pretty and will go with many outfits. I would love to try 'Grand Prix' but i,m not sure i will get it in India. I'm waiting for pics of your nails. Have a great day my dear. Kisses and hugs. io ultimamente uso spessissimo uno smalto della stessa tonalità del 315 anche se forse per l'inverno un rosso un po' più scuro starebbe meglio...è che sulle mie mani mi piacciono di più i colori chiari!! Sono tutti bellissimi i colori di questi smalti, però io non conoscevo il marchio! Mi piace molto My Funny Valentine, adorabile! Non conoscevo questo brand, quindi grazie per questa bella scoperta! Lucky you Lilli! What a lovely set and both reds are just beautiful! I'm sure they will look very pretty on you! I really like the depth and sophistication of the Forever Soul shade. Such beautiful colours for Christmas or Winter time! I like most the Forever Soul,it's my favorite!! Have a lovely week dear!Enjoy!Hugs! 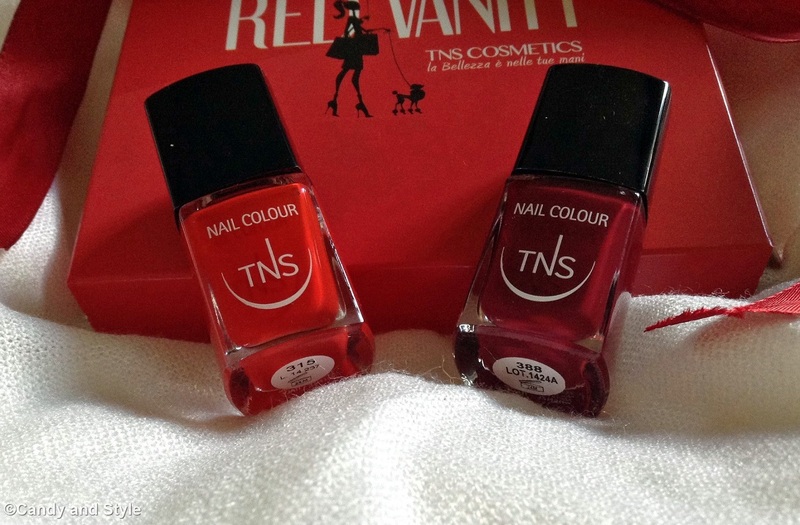 I'm not much to wear red nail although last year and encourage me to bring in the new year and liked it, this brand has a very nice, elegant presentation would use lighter red in summer and red wine for winter. Those are cool colors that you picked; the packaging is so pretty too. belli ludo,mi piacciono entrambi..vprrei provarli anche io..
Dear Lilli, this is really the perfect gift box for you. I know you passion for the color red. You have so many beautiful accessories in this color. I like both colors very much, but the deep red "forever soul" is my secret favorite. A very nice shade for the holiday season. Miss bella hanno una bella serata. Bellissimi il colori di questi smalti! Un bacione. Ma sono stupendi Lilli, poi sono davvero dei colori perfetti per il Natale! Sarebbero anche una bellissima idea regalo! Such a great colors Lili. Im "wearing" them very often! Hi Lilli, I never heard of the Brand. But I am sure they must be very good nail polishes. I like the colours very much especially now I am into the Forever Soul shade, like dark burgundy/purple shade. Such a nice gift to receive! I prefer red tones for my nails; it's classic and will always look stylish. Ciao Lilli....ecco questi sono i colori di smalto che indosso maggiormente in questo periodo! Perfetti! This brand is new to me but those colours are both gorgeous particularly for this time of the year. At the moment I'm wearing a very very deep berry red and it's so versatile as it seems to look fine with many outfits. I hoipe your Christmas preparations are going well! Have a good weekend! These colours are great for Christmas! Che meraviglia, io adoro gli smalti rossi!! Baci e buon venerdì, F.